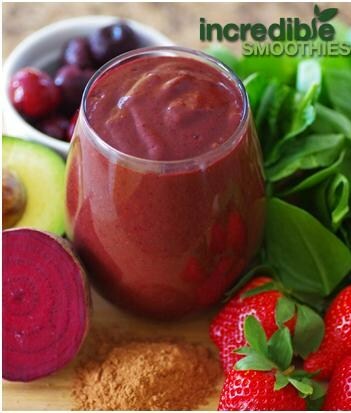 January 11, 2015 k3fitLeave a Comment on Smoothie Making 101! They are well worth the investment. We have a vitamix and us it multiple times a day for smoothies,sauces,dips,soups ,ice cream etc. Banana makes a great thickener, as do other base fruits like mango and cherries. Just a quarter of an avocado thickens up a smoothie nicely without adding too much fat. Try to avoid using too many water-rich fruits so that separation doesn’t occur while you are drinking it. I’ve made smoothies that I had to eat with a spoon. It’s actually not really a problem. But if you really want a smoothie and want to drink it through a straw without giving yourself a headache, be cautious of the amount of base fruit you use. Also be sure to add enough liquid—and add more if needed. Avoid using more than a quarter of an avocado in a green smoothie. If you add too much ice or frozen fruit to your smoothies, you always run the risk of turning it into ice cream. For this reason, I never use more than one serving of a frozen ingredient. For example, if I make a green smoothie with a frozen banana, I probably won’t use any other frozen ingredients. If your green smoothie turns out like ice cream or sorbet, try adding some room-temperature water and blend again. Previous 2015 is Here to Stay: January News! Next Get Outside and Workout! Winter Motivation!